Just earlier this week, Fox pushed back the release dates of Dark Phoenix and numerous other films, but now it appears we have at least some insight into why. The film’s “third act will need some reworking,” thus forcing reshoots, according to THR sources who also state that the cost will be under $10 million. 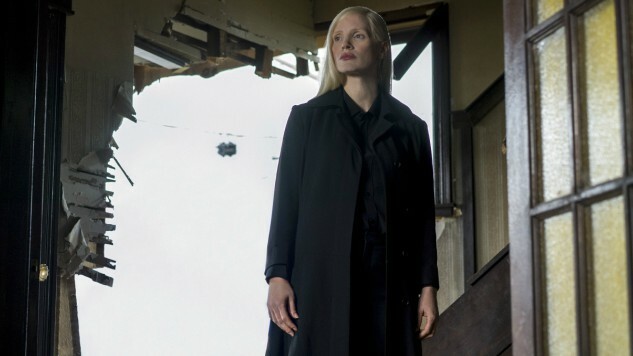 The film’s director, Simon Kinberg, makes his directorial debut with Dark Phoenix but has long written and produced for the X-Men franchise. Kinberg has yet to make any script adjustments yet, so the extent of the changes is unknown, but since the film came in under budget, there is definitely room to tweak it. The film has been in post-production since finishing shooting late last summer. This isn’t necessarily a bad thing for the film. Most big-budget studio films are scheduled so as to make room for occurrences like this—however, another insider notes that it works in favor of Kinberg and the studio, who was looking to move the release date back anyway. Apparently, the film was set to come out the same weekend as Disney’s Nutcracker and the Four Realms, which will likely play quite well to Christmas/holiday crowds. After the recent successes of spring superhero films like Deadpool and Black Panther, a mid February/President’s Day release could be great for Dark Phoenix. The film has a slew of major stars who remain pretty busy with various projects on the way, so it is unclear at the moment how reshoots will affect some of the stars, including Michael Fassbender, Jennifer Lawrence, James McAvoy, Sophie Turner and Jessica Chastain. Reshoots are planned for late summer/early fall, with Dark Phoenix arriving in theaters on Feb. 14, 2019. Check back for more updates on Dark Phoenix as we have them.